ABS-CBN is not the only major television network with a regional programming problem. Archrival GMA also endures its fair share of issues when it comes to regional programs. Similar to what ABS-CBN experiences, GMA’s biggest concern is at the 5:00 p.m. slot where regional news programs are aired in the provinces in lieu of shows relayed straight from Metro Manila. Just last Monday, GMA’s Mindanao-based channels began to air a new regional newscast titled ‘One Mindanao’. The program is anchored by longtime Mindanao-based GMA anchors Tek Ocampo, Sarah Hilomen-Velasco and Real Soroche, and is aired on weekdays at 5:00 p.m.
Like ‘Balitang Amianan’ (Dagupan and Ilocos) and ‘Balitang Bisdak’ (Cebu), ‘One Mindanao’ preempts the first 30-40 minutes of ‘Wowowin’, the GMA afternoon game show hosted by Willie Revillame. But as far as GMA is concerned, this was just a minor inconvenience. Most GMA regional networks are now mere relay outlets following the closure of most stations and the layoff of its employees. ‘Wowowin’ is still aired after the newscasts, thus no need to reair the show the following morning. ‘Wowowin’ more often than not beats an ABS-CBN Koreanovela (only a few relay areas receive such programs due to regional ‘TV Patrol’) in the ratings game regardless of either Kantar or AGB Nielsen. With that in mind, it was clear to GMA that they are undeterred about the overall programming disparity between Greater Manila Area and regional areas. However, with the entry of ‘One Mindanao’ in the Mindanao area, they now have every reason to worry since ‘Wowowin”s audience will be reduced significantly. Issues among ABS-CBN and GMA’s regional network programs are in dire need of a resolution. The 5:00 p.m. slot, usually a haven for regional networks to produce their newscasts, is one example of what each network needs to do to make things all the more parallel. But since GMA currently has less regional stations than ABS-CBN, their own concern may be revisited once they decide to resuscitate some of these stations. For now, GMA can only hope that their regional networks’ standing will be improved with each step. A new season of ‘Bet on Your Baby’ looms on the horizon. The game show that produced 11 millionaire kids in its first two seasons now returns for a third. And ABS-CBN made it even more exciting with some new twists to the game. Judy Ann Santos-Agoncillo will remain the host of ‘Bet on Your Baby’, but will now have a virtual sidekick in Piggy Bangs. Both will play crucial roles in interacting with the cute and cuddly contestants. Those said contestants will also be part of the exclusive Baby Club, which will give them complete access and privileges to the program. With that, here is how ‘Bet on Your Baby’ is played. Accompanied by their parents, each baby starts off by facing each other one-on-one in mini challenges inside the Baby Dome. A parent then places their bet on how far their child can go in the challenge, with P 10,000 for the correct bet and P 5,000 for the incorrect bet. A child and their parents then try to answer a question correctly in order to advance to the jackpot round. This round, also known as ‘Watcha Makulit’, is where eliminations will take place. In the jackpot round, mommy, daddy and baby have three chances to find and smash a piggy bank that contains P 1 million. If done successfully, the kid will now join a select list of ‘Babynaryos’. For the first few weeks of ‘Bet on Your Baby’, celebrity babies will have the opportunity to win P 1 million. Auditions for regular baby contestants will be announced at a later date. Appropriately enough, the third season premiere of ‘Bet on Your Baby’ will take place on Mother’s Day weekend. That said, families will have plenty more reasons to watch this exciting and cuddly game show that has been a Kapamilya institution since 2013. It will be interesting to see how this new season plays out. With that, good luck. 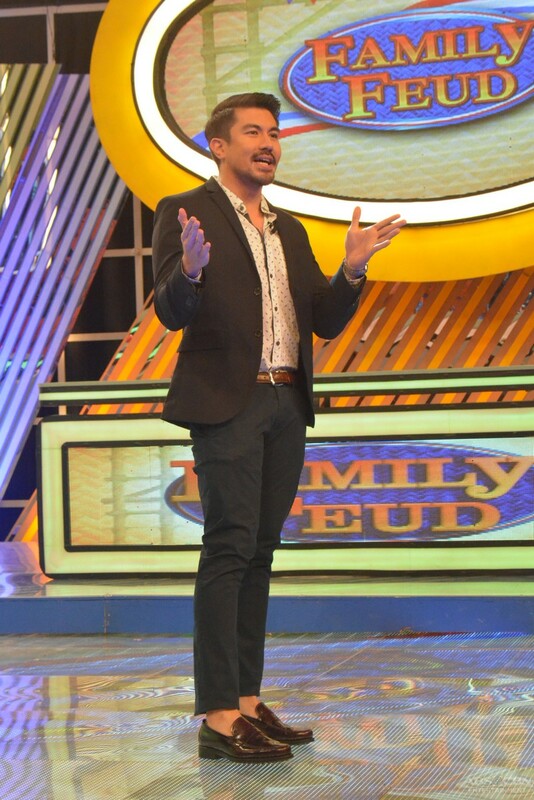 ‘Bet on Your Baby’ airs every Saturday at 5:15 p.m. and Sunday at 5:00 p.m. on ABS-CBN.